Welcome to the Contemporary Museum of Invertebrate Art, where the invertebrates (and the blog posts) are a thing of beauty. Here for a limited time, the exhibitions in our gallery will fascinate, entertain, and enlighten. From every corner of the globe, from rising stars to masters, come take a look around at what we have on display this month. On loan from another museum, The Museum of Curiosities, Tom Clarke has on exhibit Symbiosis. 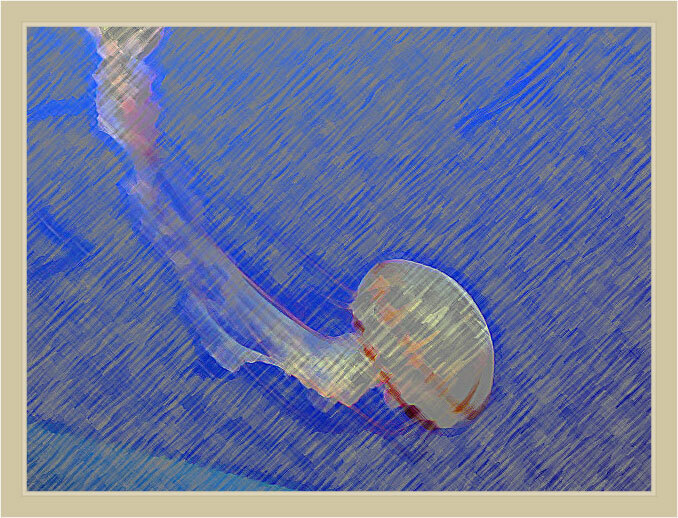 He shows a mauve stinger jellyfish (Pelagia noctiluca) and a larval fish that seems to be using the jellyfish as both protection and food. Classic, guns and butter from one source. Are corals that start showing bright neon colors about to bleach? Rick at Deep Sea News addresses the question in his post Color Me Stressed. Craig, another blogger from Deep Sea News, wonders How Many Deep-Sea Nematodes Are There & Why We Many Never Know. As he correctly points out, we are losing species faster than they are being named. Dave Ingram at Dave Ingram’s Natural History Blog is doing some Slug Name Dropping. He gives some helpful characteristics for recognizing the reticulate taildropper (Prophysaon andersonii) and the yellow-bordered taildropper (Prophysaon foliolatum). Mike Lisieski at Cephalove takes a look at the intricacies of color changes in Cuttlefish Body Patterning. Is it language or not? Mike has the answer. Ever felt like straightening out the misinformation being given to children at the zoo? Olivia V. Ambrogio does some Stealth Educating by standing up for the cuttlefish at Beasts In A Populous City. At Deep Sea News, Miriam finds that Female snails in Australia are just happy to see you. 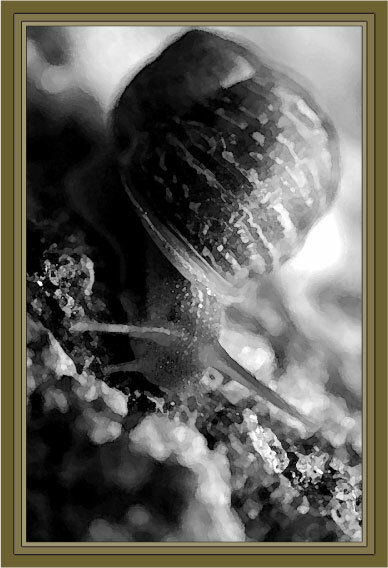 But not just any snails, these gastropods have undergone a little change called imposex. First New Snail Larval Form Discovered Since 1878 announces Kevin Zelnio of Deep Sea News, showing just how meticulous those Victorian naturalists were. And speaking of early naturalists, check out The Cephalopoda, an amazing collection of color illustrations by Carl Chun, a Leipzig University Professor of Zoology, who in 1898 went on the Valdivia Expedition. Thanks to Craig at Deep Sea News for bringing it to our attention in his post Cephalopod Art. In his post 1,000 Legs?, Mike shares photos of yellow-spotted (among other common names) and greenhouse millipedes that he found in his Slugyard. Ted MacRae of Beetles in the Bush may not have found a Great Plains giant tiger beetle, but he did find a photogenic model in North America’s largest centipede, Scolopendra heros. 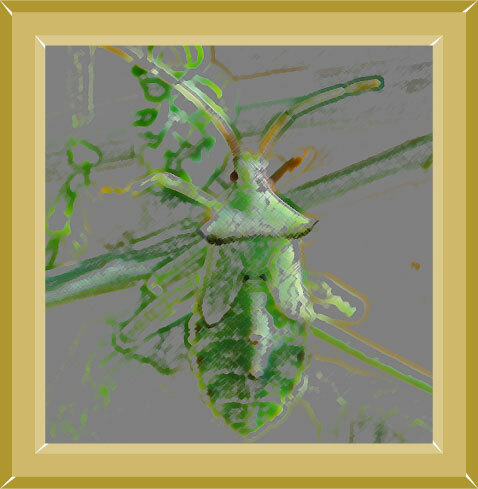 Peggy at Everyday Biology experienced a Stinkbug Invasion She identified them as painted bugs (Bagrada hilaris), also called the Bagrada bug. 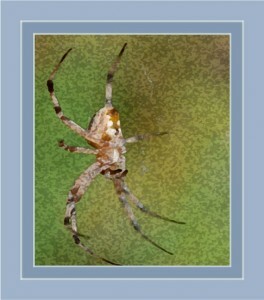 It is a new, invasive species originally from East and Southern Africa. At Information Central Photography, Stephanie Suesan Smith caught a photograph of a Praying Mantis. What are dragonflies doing at the beach? Rebecca of Rebecca in the Woods asks that question when she finds common green darner and black saddlebags dragonflies (working on their tans?) in her post Dragonflies Amongst the Dunes. Susannah of Wanderin’ Weeta found a patient model in the Chocolate Bug (Leptoglossus occidentalis). You just have to see the results (I wish I could get ants to sit still like that). Do Butterflies Pee in the Woods? 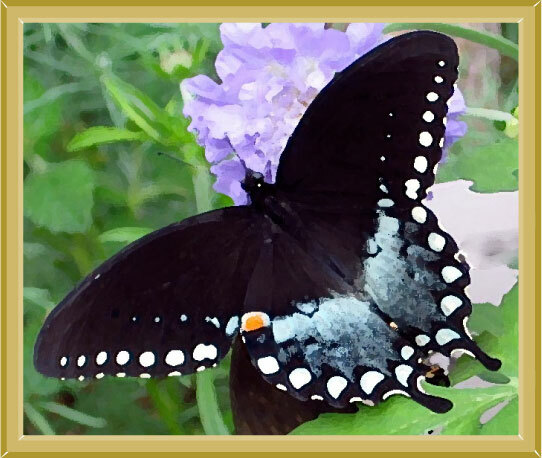 Would you believe an eastern tiger swallowtail (Papilio glaucus) puddling and peeing at the same time? Amber of Birder’s Lounge has the animation to prove it. What’s Eating the Coyote Brush at the Bluffs? John Callender of CARP Without Cars discovers an orange tortrix, Argyrotaenia franciscana, is the culprit in Carpinteria, California. Be prepared to exclaim over John B.’s Common Buckeyes in Cape May. John B. writes at A DC Birding Blog. He also gives us some hints as to the purpose of those striking eye spots. Joan’s gorgeous Hackberry Emperor (Asterocampa celtis) is also doing some puddling (or attempted puddling?) at Anybody Seen My Focus. 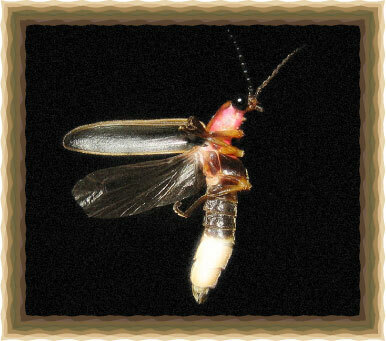 Kevin Zelnio writes a comprehensive article about Evolution and Costs of Firefly Lights at his Online Lab. Who isn’t drawn to these amazing creatures? In Ants do the “waggle dance” (or something! 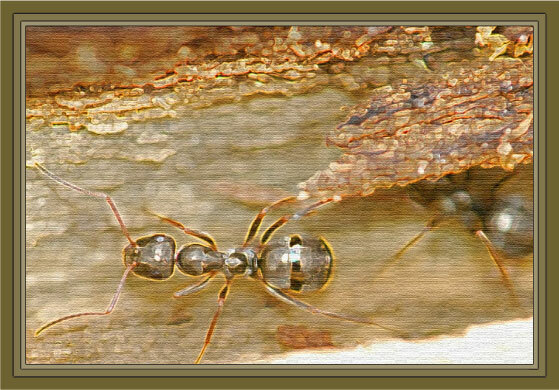 ), The Geek In Question reveals an interesting ant mystery and finds some answers at Fall to Climb blog. 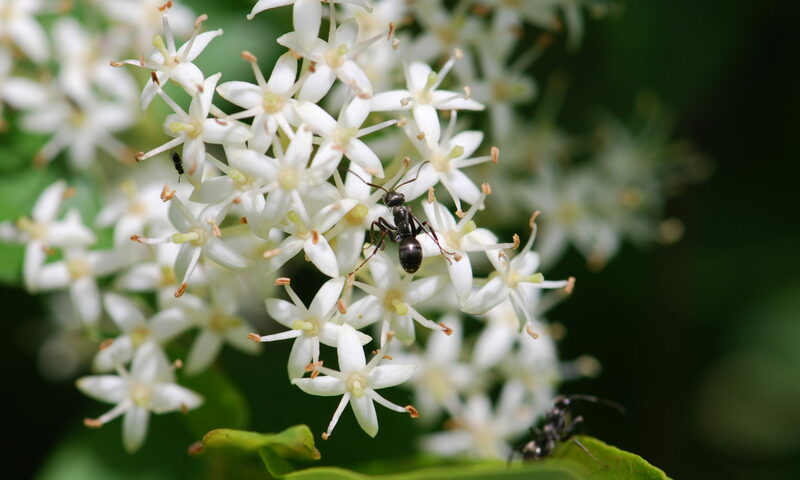 Here at Wild About Ants, I have Objects on Harvester Ant Mounds. If you want to see some eye-popping invertebrate art, check out Art of Insect Eggs at National Geographic, brought to our attention by Alex Wild at Myrmecos in his Magnificant Insect Eggs post. Scienceguy288 (aka Kazimierz Lebowski) discovers some Creepy Crawlies in the Rainforest: 7/25/10—94F—57%H—TFI at Science & Soul. 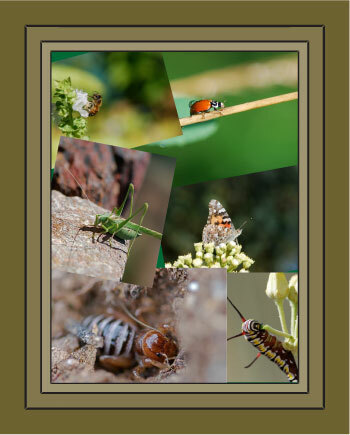 He encounters a wild caterpillar, some incredible spiders, a cicada, a tarantula, and several non-invertebrates. It’s a virtual tour of the rainforest for those of us stuck at home. Have you ever seen a trashline orb weaver (Cyclosa turbinata) stabilimentum? John Callender of CARP Without Cars has that interesting spider and much more in his post Coyote Brush Blooming at the Bluffs. For Some recent arthropod photos, Michael Bok at Arthropoda has been using a reverse-mounted 50mm, and getting some awesome macro shots. He has a daddy long legs, ambush bug, dragonfly, wolf spider and young spiders. At another post he has some shots of one of my personal favorites: Mantis Shrimp, Pseudosquilla ciliata. At Indy Parks Nature Blog, Janet explores goldenrods and the insects that hide among their blossoms in her post, Goldenrod Ninjas. She pays particular attention to the “mini-ninjas,” ambush bugs. Nothing is better than exploring a tidepool. John (aka Kind of Curious) has shots of starfish, mussels, barnacles and more in his post Tide Pools at Rialto Beach. He also discusses why members of the same species of starfish are different colors. And finally, sneaking into our invertebrate world with a chordate, Zen Faulkes at NeuroDojo shares that adult sea squirts may eat their brains (or not) in the intriguing Eating your own brain: Ocean of Pseudoscience repost. A big thank you to everyone who submitted this month. It’s been a wonderful experience getting to visit all your blogs and reading all your posts. Circus of the Spineless is a monthly collection of blog posts about any and all things invertebrate. If you would like to participate in the November 1, 2010 edition, send your links to Cephalopodcast at cephalopodcast (at) gmail(dot)com by the end of October. 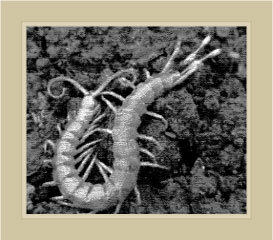 Centipede in peat marshlands of Kawai Nui, O’ahu, Hawai’i photographed by Eric Guinther and released under the GNU Free Documentation License at Wikimedia. 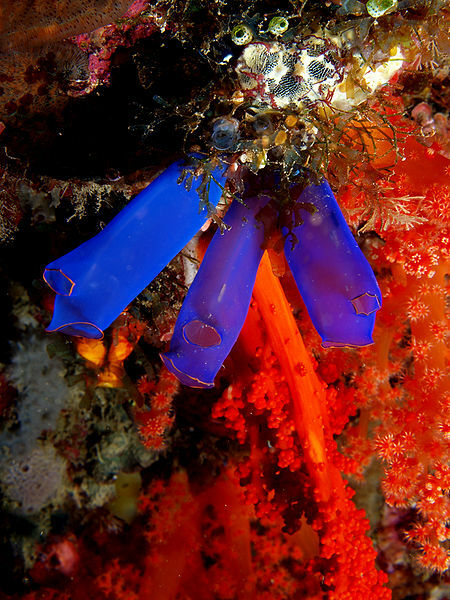 Blue sea squirts by Nick Hobgood retrieved from Wikimedia. Firefly was photographed by art farmer from Evansville, Indiana, USA and retrieved from Wikimedia. The remaining photographs were my own. Thanks for hosting Roberta! I’m looking forward to spending some time reading these posts. Excellent layout and what a great selection of spineless stories you’ve accumulated! It might be one of the most biodiverse offerings yet. Loved the museum of art theme! Thanks for hosting. Very nice, can’t wait to peruse over the weekend. Looks like some interesting reading here – fun stuff Roberta! Thanks for hosting! You all are a great group to work with. I recommend hosting to anyone who thinks they might be interested. Wonderful edition Roberta! Thanks again for hosting. Agree with Kevin – great offering of different species. I think this has been one of my favorite CotS. Great posts, great job! Nice job Roberta! I love the museum theme.